STEM 2.0 is our Programmatic efforts designed to develop these girls in STEM and help them remain in the STEM pool. It is structured to close the gap between the often binary worlds of “school” and “work”. Modules include introduction to Robotics, 3D Technology and Printing, Electronics (using the Makey-Makey, Raspberry Pi and Arduino), Cyber-Security and LEGO Education. The Fraser Valley MakerSpace (FVMakers) has partnered with STEMbees to create learning opportunities for young girls through STEM learning. To build healthy and sustainable communities, we understand the importance of bridging the gender gap within STEM related fields. Inspiring young minds at a young age is part of the mission of both organizations. To empower girls through an increased access to opportunities, FVMakers and STEMbees will work together to build first aid kits using STEM principles. CodeBus Africa was a 100-day adventure into creative technology and youth empowerment – part of Finland’s 100th independence celebration and the official Finland 100 programme. The workshops introduced the youth in 10 African countries to Sonic Pi – a coding app for creating music. Codebus’ first stop was Ghana with participants from 6 schools: St Mary’s RC Girls Basic School, LAS Liberty School, St Michael and All Angels Anglican Basic School, New Life Fellowship Institute, American International School, and British International School. 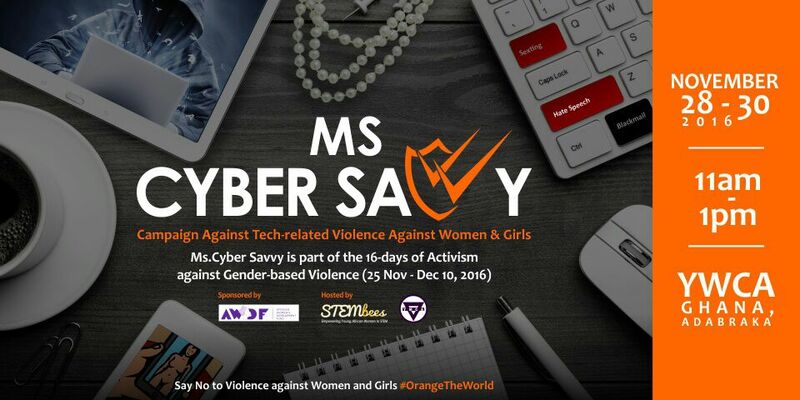 As part of the “16 days of Activism against Gender-based Violence(GBV), we run the Ms. Cyber Savvy project to educate Ghanaian women and girls about digital safety, including effective digital social networking, safe posting of personal information, digital relationships and Cyber-bullying. Participants were YWCA members and students of the YWCA Vocational School. Participants were from the St Mary’s RC Girls Basic School and South Labone Girls Vocational Training Centre. The tutorial featured Star Wars characters Rey and Princess Leia, both women, as coaches helping students write code to program droids BB-8, C-3PO, and R2-D2. Our guests included Funmi Onuma (Country Manager, SIlverBird Entertainment Ghana), Dorothy Gordon (Director-General, AITI-KACE), Jacqueline Dikedi (Penplusbytes), Patience Anobil (AFS Ghana) and Kofi (Reach for Change Organisation). Their presence and participation made a strong statement that Ghanaian women in STEM are ready to teach our girls critical 21st century skills and support them in their dreams. 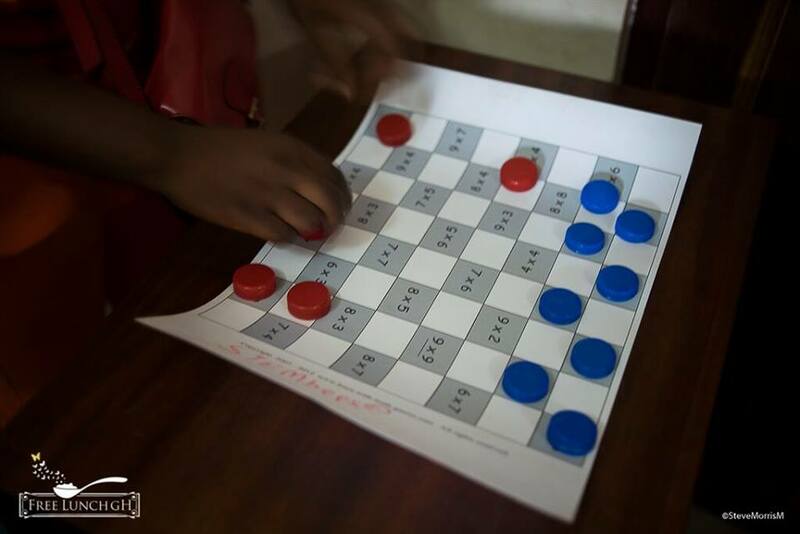 Throughout November 2015, we supported FreelunchGh to make Maths fun and engaging for the kids they work with. 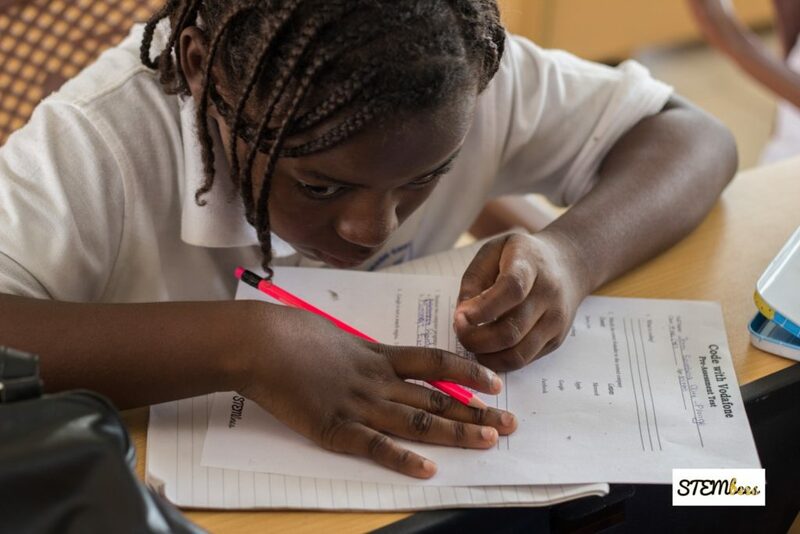 FreelunchGh is a non-profit that engages over 300 children from low socio-economic communities in active learning besides providing free meals. We facilitated workshops at the three community libraries they work with: Adabraka (Ghana Free Community Library), Anoff (Street Library Ghana) and Korle Gonno (Korle Community Library). Activities included Maths checkers, multiplying Fractions using playing cards, Maths Equation search (similar to Word search) and telling the time using building blocks. 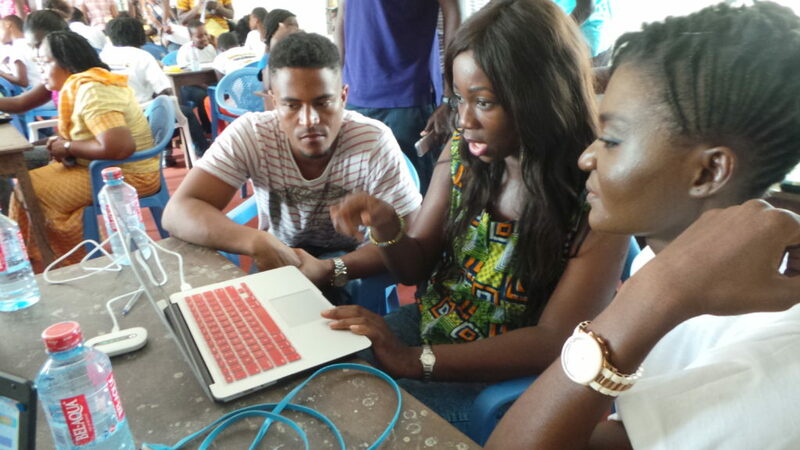 This one-day coding workshop was possible with support from Google and an amazing group of volunteer mentors, most of which were entrepreneurs-in-training (EITs) and fellows at MEST. 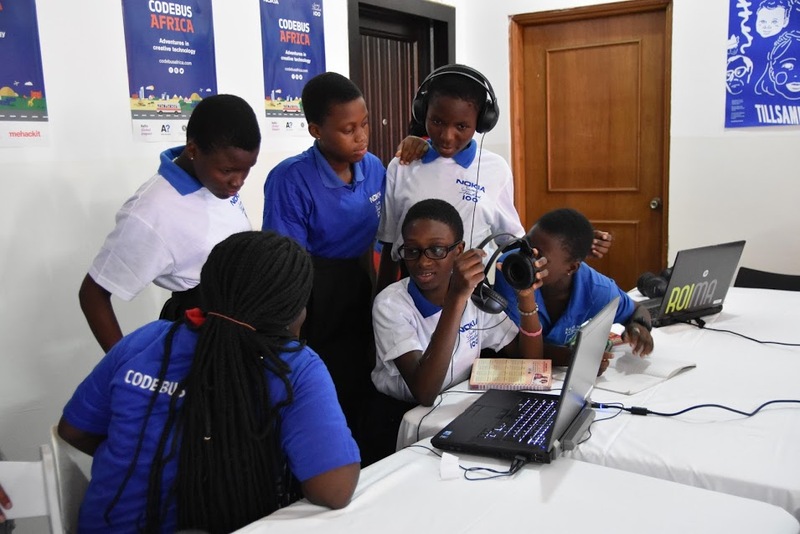 Using Google’s CS First training materials, the girls from our club at the St. Mary’s RC Basic School were able to create animated stories and complete the High Seas Activity with the Scratch program. The Africa Code Week is a continental initiative aimed at bringing hundreds of coding workshops to 20,000 kids and youth from 3 different age groups (8-11, 12-17 and 18-24). The belief behind this initiative is simple: coding is a new language every child deserves to be fluent in. The training scheme was designed to introduce basic ICT skills to 200 girls from the South Labone Girls Vocational Training Centre. This was a roll out on a Memorandum of Understanding (MoU) signed between Penplusbytes, STEMbees and the South Labone Girls Vocational Training Centre to contribute to redressing the gender divide that has less women in ICT skills development and use, and empower women and girls to also leverage on ICT and its many benefits. 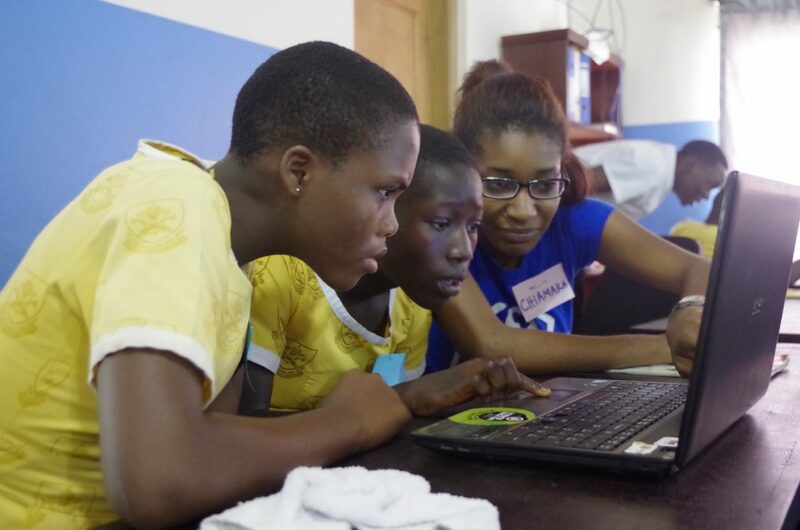 Young Women’s Christian Association (YWCA) of Ghana partnered with us to introduce 20 girls from their Teens Club to Computer Science. Two hours of going through the Code.org’s Angry Birds tutorial with the girls exposed them to the wonders of technology and how they could contribute to it through computer science. Our mentors were from the Research Academies for Women – Ghana (RAWG). 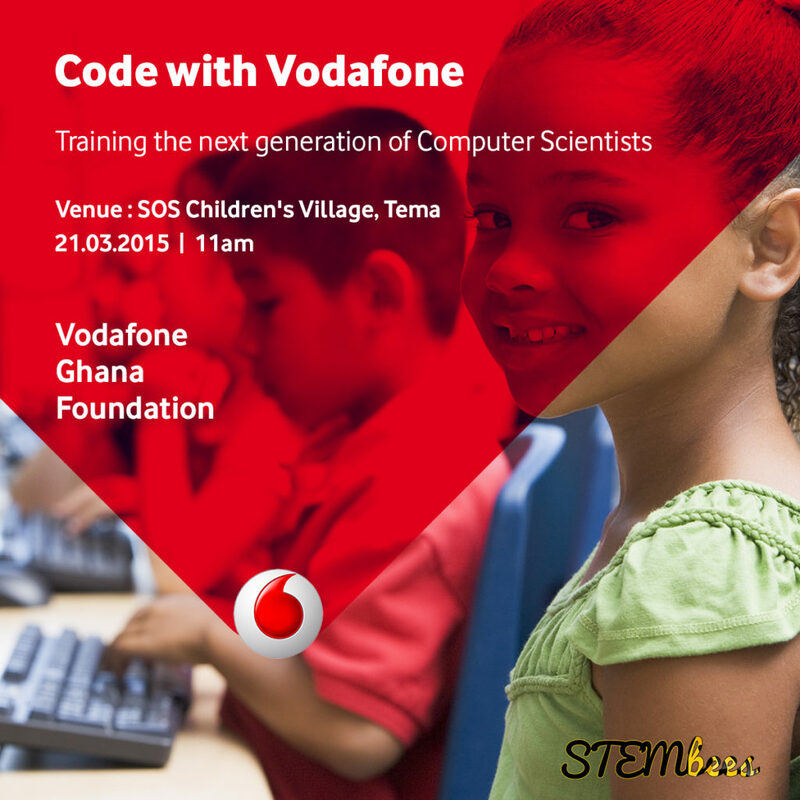 This workshop was part of Vodafone’s “Bring a cheer to your Community” initiative. 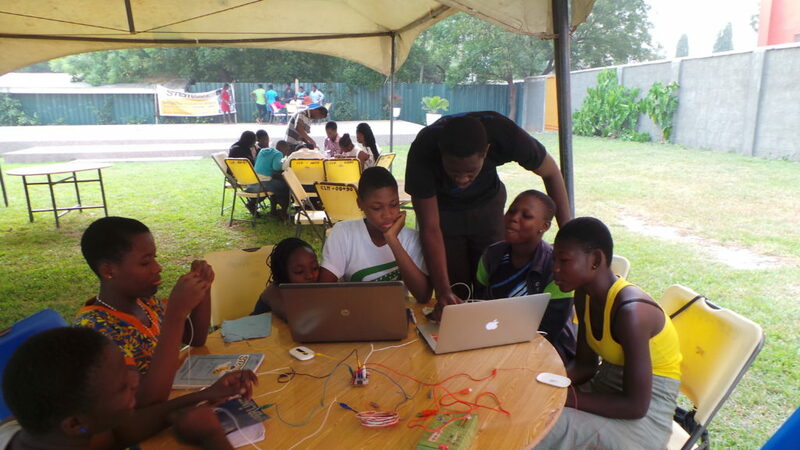 This was held for the SOS Children’s Village in Tema and introduced over 70 children to Computer Science using resources from Code.org’s Hour of Code tutorials featuring Disney’s Frozen Anna and Elsa, and the Angry Birds. A cash donation of GHS 3,000 was also made to support the school fees of 50 girls at the SOS Children’s Village, Tema. This 5-day residential camp introduced 50 young ladies (ages 9-17) to computer programming and engineering to expose them to the fascinating world of STEM. 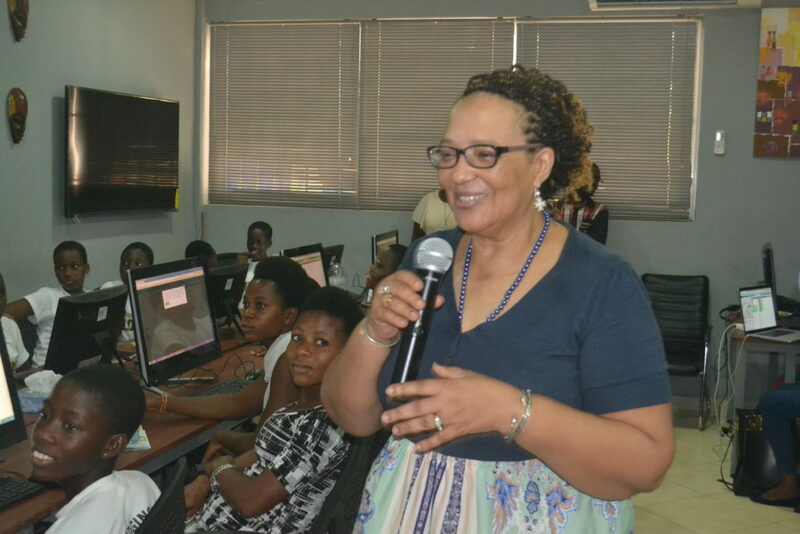 The camp was structured around educational forum with 3 professional women in technology, introduction to web development (HTML & CSS) and hands-on activities with Makey-Makey, Raspberry Pi and Arduino kits. The students were from the Jack and Jill School, Korle Gonno RC Girls Basic School and YWCA Ghana. The girls also visited the MEST Incubator and iSpace Ghana. 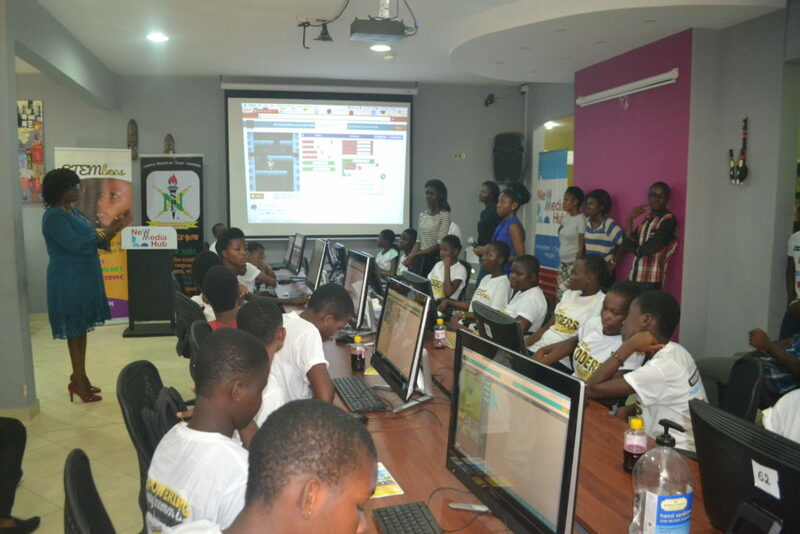 Our 1st Hour of Code event had Actress and TV personality, Ama K. Abebrese, joining girls from the St Mary’s RC Girls Basic School and the YWCA of Ghana to demystify code and show that anybody can learn the basics. The ladies went through both the online tutorial featuring Disney’s Frozen’s Anna and Elsa and the unplugged version: My Robotics Friends. 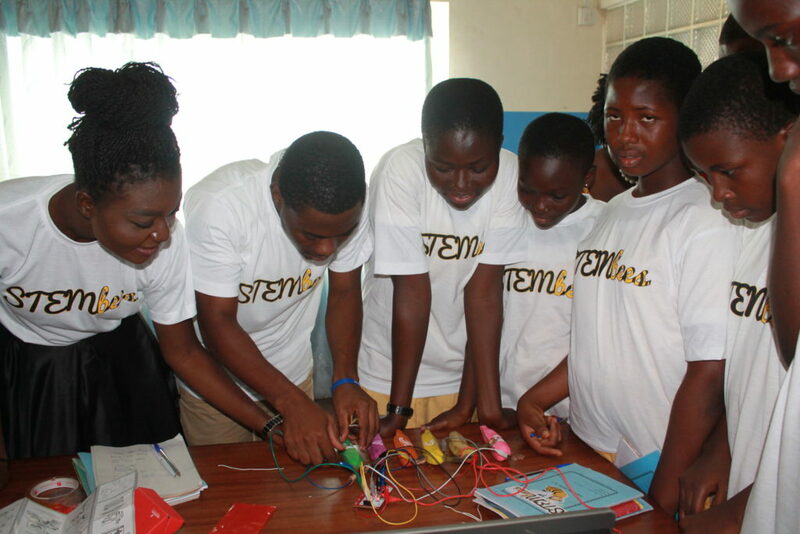 We held our first STEM workshop with 30 beautiful and smart girls from the Korle-Gonno RC Girls Basic School. Over 2 days, we made working instruments like pianos out of bananas and guitars out of cardboard using the Makey-Makey kit, and learned to type and use Microsoft’s Excel and PowerPoint. Our speakers, Ekua Odoom, M.D of MEST and Anne Amuzu, CEO of Nandimobile also inspired us all with their stories about working in the technology field. Our Sisters in STEM (SiSTEM) clubs are free after-school programs for Junior High school girls in public schools. They include presentations to introduce STEM professions in a compelling and real-life way with related hands-on modelling and tinkering activities. The Junior SiSTEM 1 introduces to our youngest Stembees the necessity and benefits of a STEM Education and guides them to explore various STEM careers and related concepts. Included are discussions and awareness sessions on Leadership, Sexual Reproductive Health and Rights (SRHR), and Activism against Gender-Based Violence (GBV). The Junior SiSTEM 2 introduces the students to simple machines and mechanisms using LEGO Education resources. They explore and understand the operation of simple and compound machines used in our everyday lives.